Information on how to manage a fleet in the business world. Many businesses have fleets of staff undertaking various tasks in different places at different times. Sometimes it is difficult to keep track of staff in this way, especially where long distance or over night trips are required. Whilst it may seem that the actions of an individual will be their own responsibility, it must be remembered that when on company business, the employer will be vicariously liable for the actions of the employee. Considerations must also be made for efficiency and cost effectiveness. Without any kind of fleet management software in place, businesses must rely on the fact that employees are being transparent and honest with their employers. Whilst most employers will like to believe their employees and have faith in their actions, a prudent business should minimise its risk with fleet management software. In a litigious society, fault and liability are often easily shown in cases where an individual has done something wrong. If something goes wrong whilst and employee is on duty, and the employer is found to be liable, the fault can often be mitigated where it can be shown that steps were taken to minimise the risks. The main example of this would be a road traffic accident, or receipt of a penalty notice. For example, fleet driver training or risk management using fleet management software. Use of such software can ensure drivers are not over tired or over worked. Safety isn’t the only consideration in this. Firms these days are looking to trim costs where possible. Effective fleet management software allows for staff scheduling to be efficiently driven and geared towards making profits. It can flag and highlight problems which may arise, plan for journeys at a time which is more efficient and keep tabs on what each employee is doing. In this regard, fleet management software is also a very effective performance management tool. Without it, an employer is relying on staff and teams of staff to report back on experiences and difficulties they may encounter. 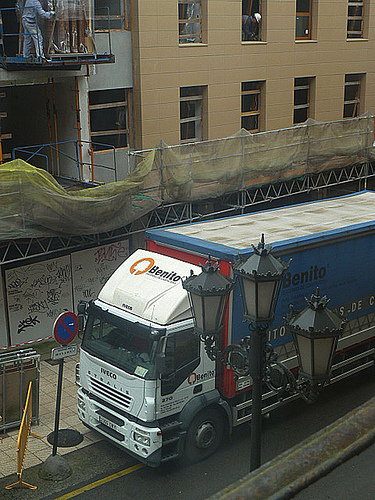 Effective fleet management software can be used where resources become suddenly in demand. The most sophisticated can link up with events, such as the prediction of snow to ensure grit lorries can be deployed in the right places to keep traffic moving. It can take factors, such as delays into consideration and plan diaries around this. For example, effective fleet management software will have been used to ensure that efficient and timely deliveries have been able to be made during the recent Olympics, where unprecedented delays and volumes of people would have ordinarily had an impact on such deliveries. This article was written by Julie Michaels from Chevin Fleet, specialists in Fleet Management Software.